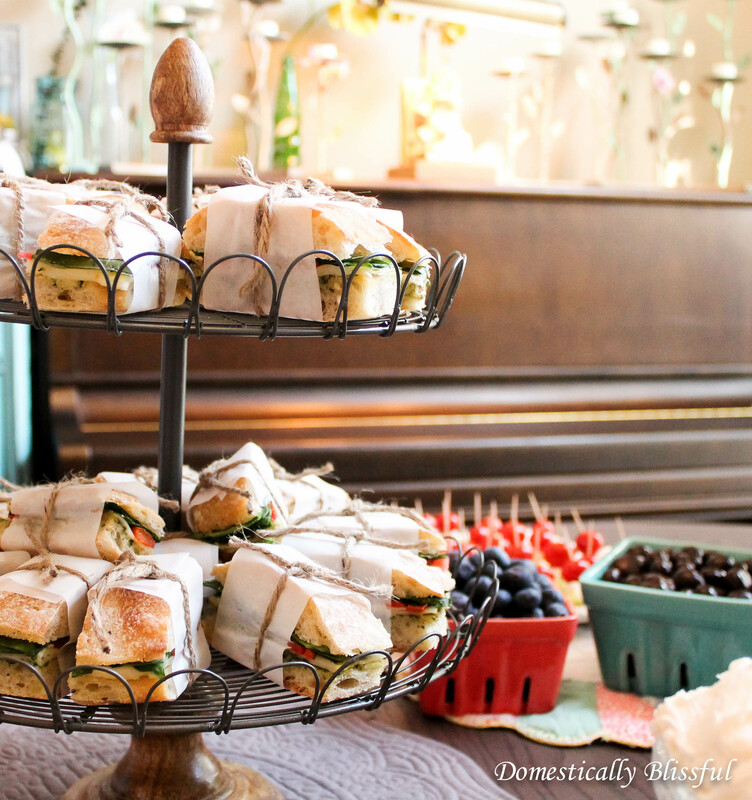 To continue the baby shower adventure that I started with you on Monday with these Mason Jar Baby Shower Drinks, today I am going to share with you the Italian Pressed Sandwiches that we enjoyed on Sunday. I am seriously in love with these Italian Pressed Sandwiches. 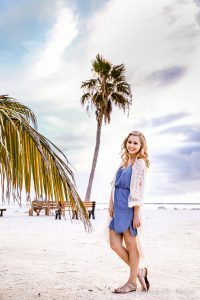 Even though I just made them this last weekend I am seriously considering making some Ciabatta Bread right now so I can enjoy them again! 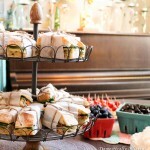 For the baby shower I made two different types of Italian Pressed Sandwiches. 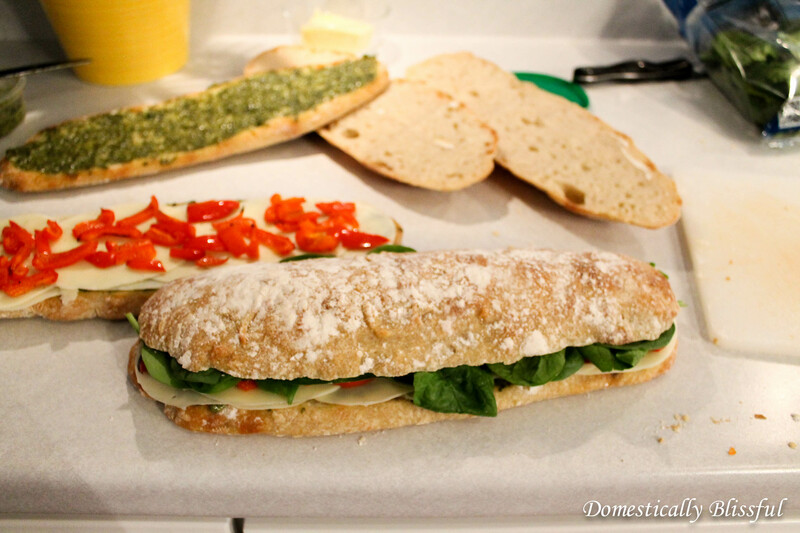 Two of the loafs were filled with pesto, provolone cheese, roasted red peppers, and spinach. 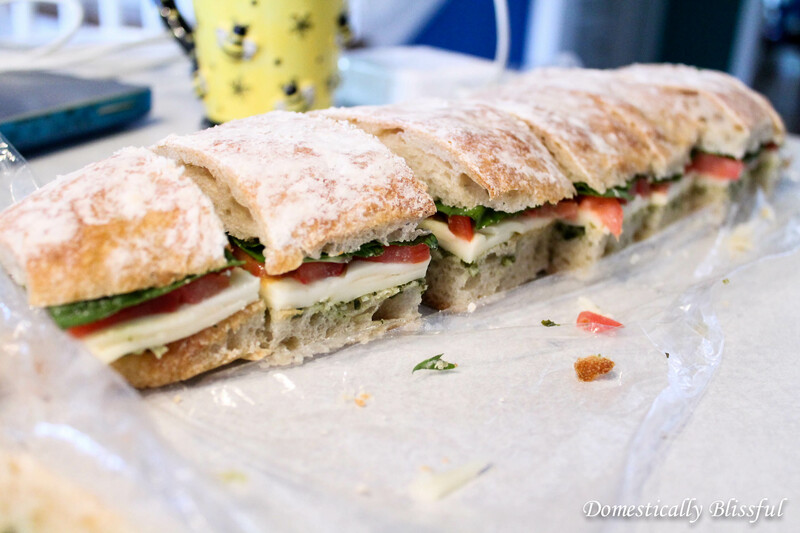 The third loaf was more of a Caprese sandwich made up of pesto, mozzarella cheese, tomatoes, and basil. Honestly, I love them both! 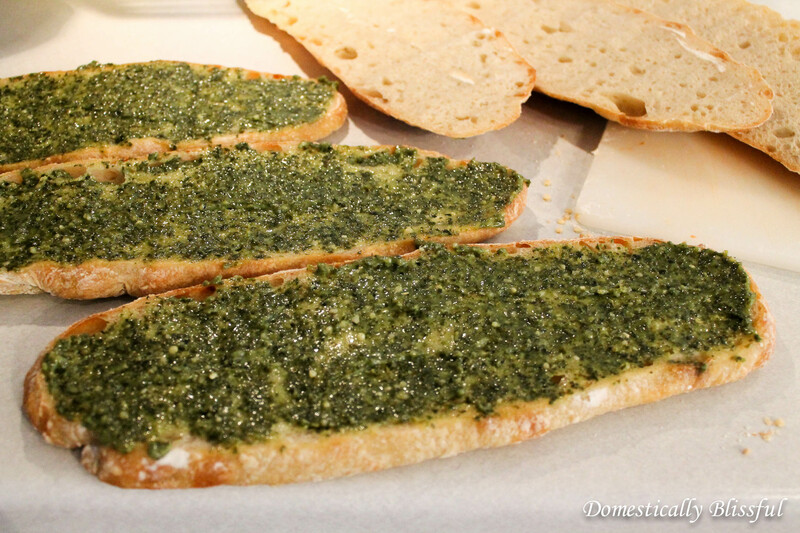 First, slice the ciabatta bread open and then lather on a generous amount of pesto on the bottom half of each loaf. 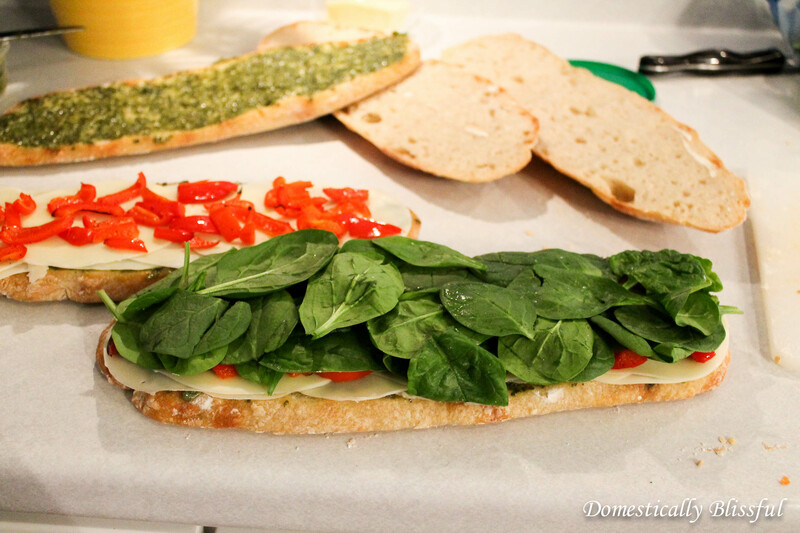 Next, layer on the provolone cheese, then the roasted red peppers, and finally the spinach on the first two loafs. The third loaf is for the Caprese Italian Pressed Sandwich layered with the mozzarella cheese, then the tomatoes, and finally the basil. Next, close the sandwiches and wrap them up individually in plastic wrap. 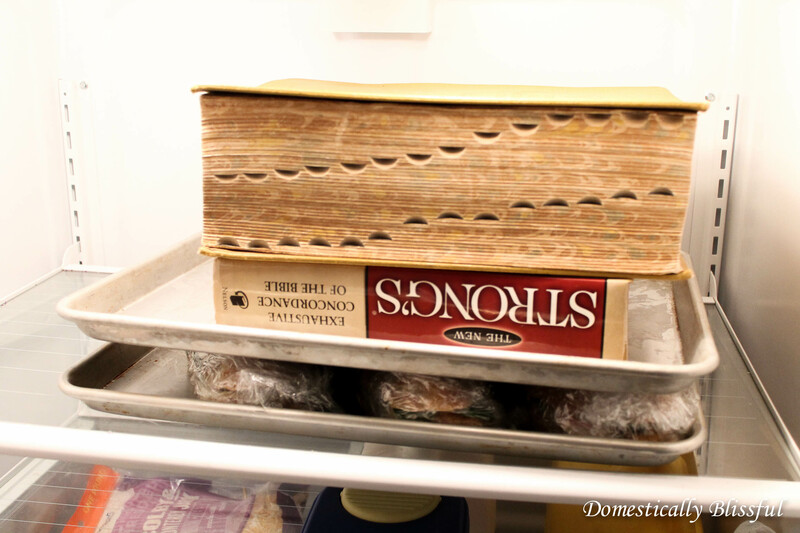 Next, place the sandwiches between two cookie sheets and place some large heavy book on top of them. Refrigerate the sandwiches – while they are being pressed – for at least 3-4 hours or up to 24 hours. I made these sandwiches the night before and cut them up in the morning. 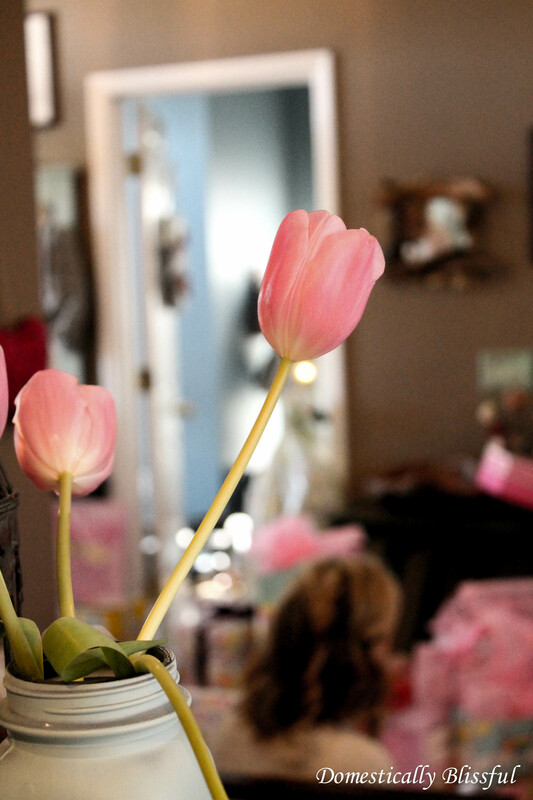 To do so, first cut off all of the edges – and if you are like me that means eating all of the good cheese and tomatoes that didn’t make the cut. Then cut the sandwiches depending on how large you want them to be. 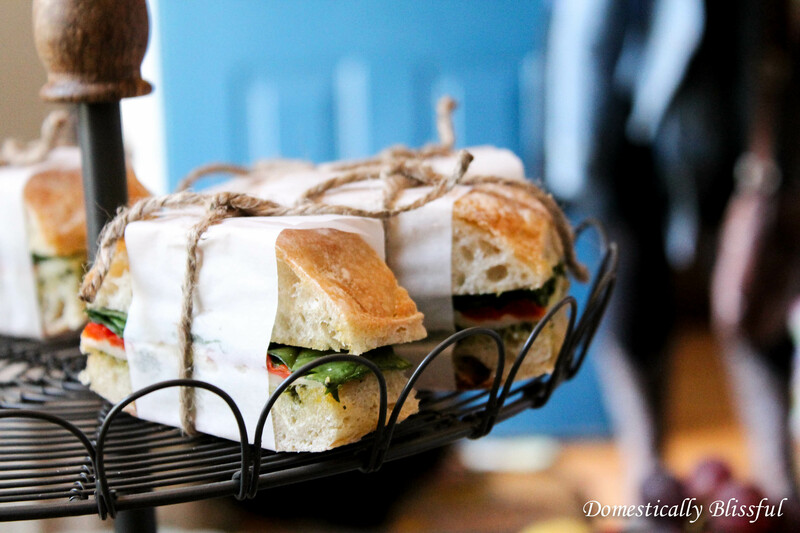 If you want to get extra fancy cut strips of parchment paper and tie them around the center of the sandwich with twine or lace! To do so, first cut off all of the edges and then cut the sandwiches depending on how large you want them to be.